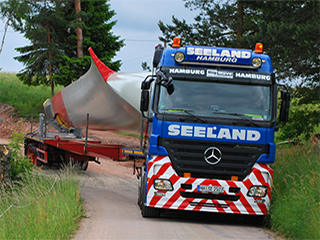 Our purpose-built semitrailer trucks are capable of moving extremely long loads. Apart from large loading platforms, the trailers are also equipped with steering rear axles. 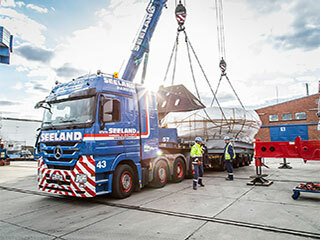 Our versatile low-profile semitrailers have a very low loading platform and offer a suitable means of transporting a variety of different loads. They can also be driven over and telescoped. With its low deck and supplementary container locking mechanisms, this equipment is ideal for a wide range of applications. 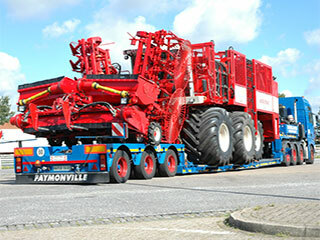 Our lowboy trailers offer a particularly suitable, problem-free means of transporting extremely high, bulky loads. Our heavy-duty modular vehicles can be equipped with flatbeds, excavator decks, or tanker trailers, offering a means of transporting construction equipment, industrial presses, or even process plants. 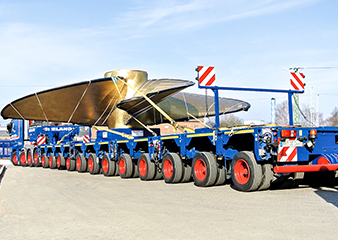 With very low loading platforms, they are capable of transporting extremely high and extremely heavy loads.